Facebook has now proposed a change to do away with this system, citing Facebook’s relatively small size when this democratic process was implemented. Facebook also contends that the current system favors quantity of comments over quality. This quip is in response to the copy & paste message campaign led by Europe vs Facebook earlier this year. 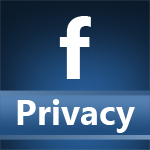 To replace the voting function, Facebook will offer a seven-day comment period on proposed changes for users to give Facebook their two cents, while also implementing a new feature called “Ask the Chief Privacy Officer,” a new feature on the Facebook and Privacy Page that will allow users to submit questions to Erin Egan, Facebook’s Chief Privacy Officer of Policy. Egan also plans to host live webcasts on a regular basis to answer users’ privacy and security questions. There is no doubt that the old system of voting left a lot to be desired. With 1 billion active users, Facebook has far too many people using its pages to accurately use such a system, and the simplicity of the voting (likes, comments) led many people to oppose changes merely to be difficult. However, doing away with the democratic process entirely doesn’t seem right either. What do you think are some suitable alternatives to Facebook’s proposal? Do you agree or disagree with the proposed changes?